My mother has always been the live wire in our family. If there is mischief going on, she is at the center of it. Humor is a gift she has and uses frequently…you just don’t want to sit with her in church as she will always get you tickled about something. I often joke and say that my Dad raised three children and Mom. Mom, or Mimi as her grandchildren call her, always looks for the best in people. What a gift that is. She can always recognize when you need a pat on the back, a kind word of encouragement, or just need to eat a piece of cake (sometimes a whole cake if the conversations take a long time). My granddaughter Amelia seems to be following in Mimi’s footsteps. She is three and already enjoys humor in her daily conversations. She is another one you don’t want to sit with in church. Isn’t it amazing the things we pick up from people we admire and love? If you are full of laughter and enjoy life it is contagious and people are attracted to you. I run into people all the time who tell me how much they love my mom and dad. “They are hilarious” is the usual quote. When situations seem to weigh me down, one good lunch at Cracker Barrel with them will fix it. As Mother’s Day approaches, I am reminded how lucky I am to have such a wonderful mother. She turns her time and attention to the things that matter in life. 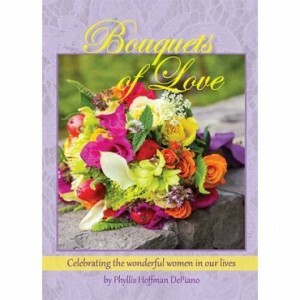 My mother served as one of the many sources of inspiration I gathered for my newest book, Bouquets of Love. I authored this quote-filled memory journal to pay homage to the things Mom spends her time on daily—family, friendship and faith. I had always wanted to pull together a collection of quotes, thoughts, prayers, and dreams about the important women in life, and now it’s finally coming full circle. Bouquets of Love is for granddaughters, daughters, daughters-in-law, and moms, and it celebrates the bouquets of love that each brings to our lives daily. My children will have been lucky. Her love knows no limit and is unconditionally given. A coworker emailed the link to your blog and I have finally read one. I was especially drawn to this one, because I was also blessed with a happy, loving mom and dad. I realize now that not every child is so blessed. Those of us who have that legacy have only one choice: Share the love! Thanks for your testimony and the great times I remember with my own Mom who died in 1988. Phyllis, I love your Mom and Dad! I have things in my house that your mom has made and I bought at silent auctions at church and things she made for me just to be nice! I love and cherish every one! Some of them are hand painted and I have a basket with a fall arrangement. Between the two of you the talents are too many to list! “Her love knows no limit and is unconditionally given”….so true!!! My mother passed away over 10 years ago but her unconditional and limitless love still inspire and stay with me even today. I miss her terribly but I try to emulate the things that I knew were important to her and I often wonder what she would think if she were able to share the happenings in my life today. My husband and I were not able to have children but we adopted two girls. We are going to celebrate our first grandbaby in a couple of months. Our oldest daughter also has two young very sweet step daughters. They only entered my life about a year ago and call me GiGi. Adopting children gives you a very different perspective on motherhood and it definitely opens your heart to receive many “adopted” sons and daughters that come across life’s path that need mentorship and friendship. Thank you for sharing a few lines from your prayer with us. It is my prayer also! 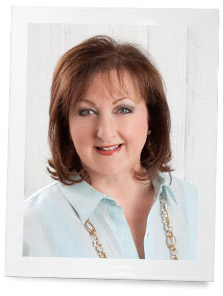 My grandchildren call me GiGi. I just love it. I will brainwash them and tell them it stands for Glorious Grandmother! I look forward to reading your book! My mom is a wonderful lady in my life, and I also hope I can be half the mom she is to me to my children! My mom got me hooked on Southern Lady- and now she sends it to me as a gift! I enjoy the magazine so much, and now I look forward to reading your posts here, too. Thank you for sharing your writing gifts with us! From all the comments you have shared through your written words, I believe you have inherited the same sweet, thoughtful spirit and sense of joy that you admire in your mother. I feel sure that your children and grand children feel the same way about you as you do about your much-loved mother. What a beautiful prayer and tribute to your mother. I wish I had it for my for my mother’s memorial service two years ago, she would have appreciated it as I do. My grandchildren call their other grandmother mimi and call me memo. My oldest grandson came up with it when he was about 2 1/2 mostly because it rhymed with my husband’s name. That was 16 years ago and now he’s 6’5″ tall and he still calls me that. I am going to read your lovely book then pass it to my daughters and to my one grand-daughter and have them sign the fly leaf with the date they read it with a comment or two. Then my grand-daughter will hand it down to her family like an heirloom. Thank you for a beautiful book! Even though I never had children, there is nothing more important that being a Mother ~ as God intended those who are to be. The most important “career’ ever…. I can not wait to read this book & share it with my wonderful Sister. Thank you. Phyllis my grandchildren call me Mimi too! How wonderful to remember mothers and daughters and what special people they are in each our lives. Thank you so much for the sweet prayer it pulls at our heart strings. Dear Phyllis, Thank you for this beautiful text. Very recently, my dear mom was diagnosed with what I called the big A disease. Her memory fading is a difficult path that we need to take together, me holding her hand and reminding her all the time how wonderful she was and how wonderful she is still. Will the book be ready by Mothers Day. I would love to give it to my mom. Yes you can click on the link on this post. We should all be remembering our mothers and grandmothers in this special month of May. How nice to include daughters and granddaughters too. My daughter and daughter-on-law are both very special in their own way and my daughter-in-law is the mother of my two grandchildren. How blessed we are to have each other. Although my Mother has been gone for 50 years, she is still the greatest influence on our family through her children and grandchildren who were molded by her example and her prayers. We knew that she prayed for us and asked God to protect us when she could not. What a blessing she was and is. I agree that you can hear your mom speaking all the time in your mind. I love it. Thank you. Brings back wonderful memories of my mother-in-law! She was a light in my life. Such a sweet post, Phyllis, and the last verse is beautiful. Our mothers are so special, and I truly miss mine. Mimi has shared so much with all of us through the years! I recently preordered your new book and can’t wait to get it! I love books that include inspirational quotations. I lost my Mama in 1989 but she is always in my heart. I joyfully celebrate Mother’s Day every year with my children and grandchildren. However, a part of me is always a little sad when I think about Mama and how much she is missed. Happy Mother’s Day, Phyllis! Thank you so much for your sweet note. Moms are treasures!! I ordered multiple “Bouquets of Love” to gift to the special women in my life . Thank you for such beautiful sentiments written in your new book . You inspire me ! Thank you so much. You honor me with your words of encouragement. That’s really a nice prayer! I know you make your mom really proud. I am going to get your book read it and pass it on to my daughters! This book is not just about mothers. There are thoughts on daughters, granddaughters and thoughts to ponder. I hope you enjoy it. Thank you so much.